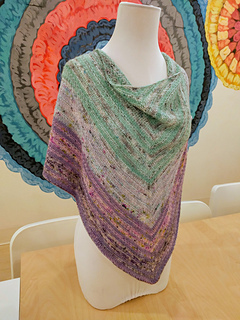 This pattern is for all those skeins that seemed so special and then somehow found their way into the deep stash and are now desperate to be let out to dance. 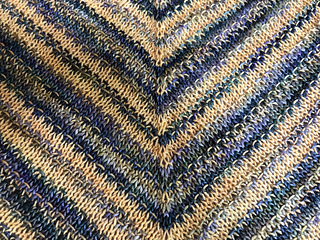 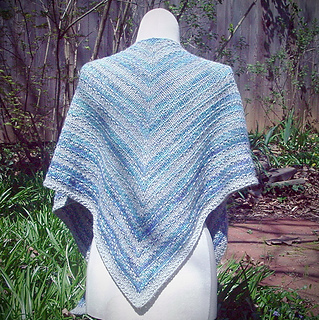 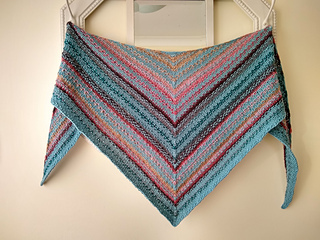 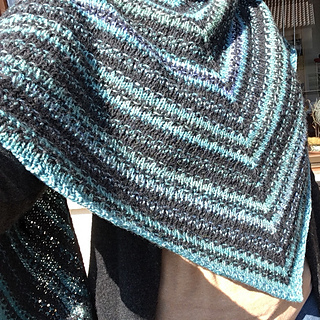 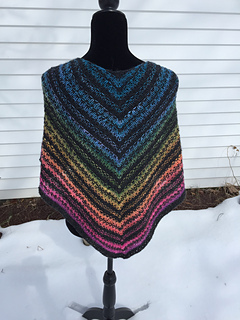 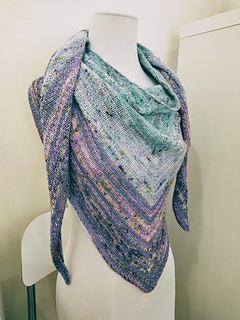 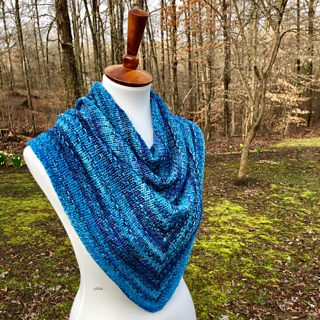 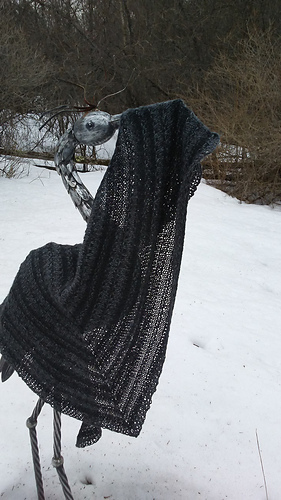 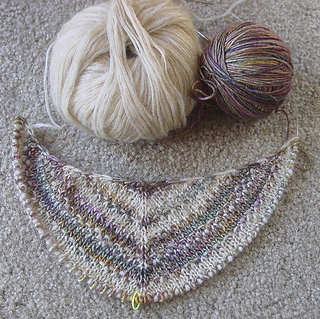 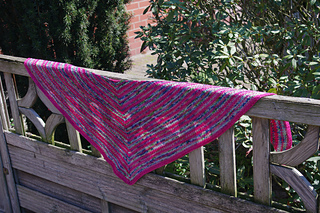 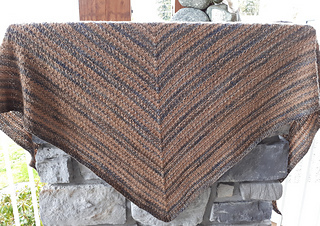 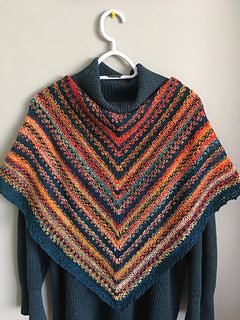 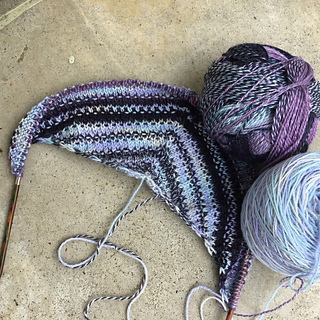 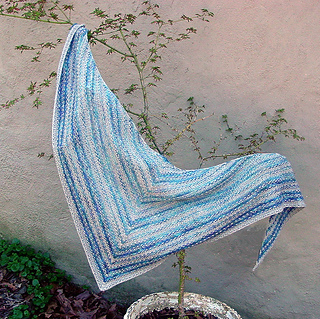 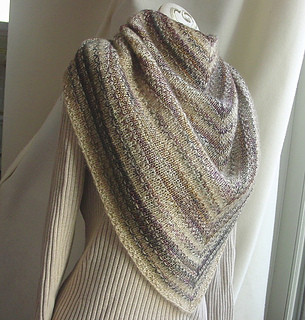 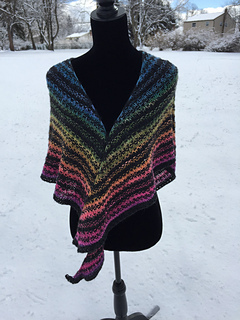 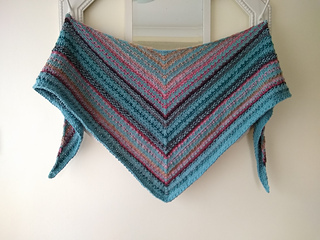 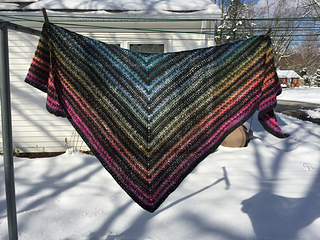 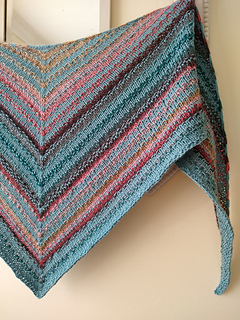 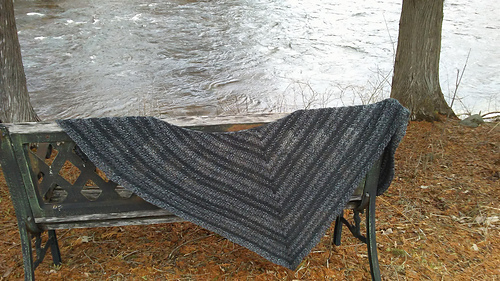 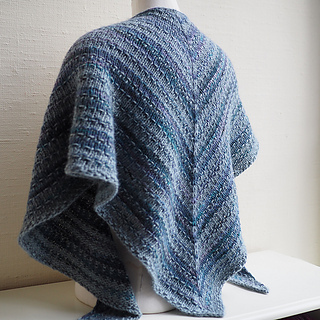 It’s satisfying to make a nice wearable shawl, but “what a feeling” to make one from stash. 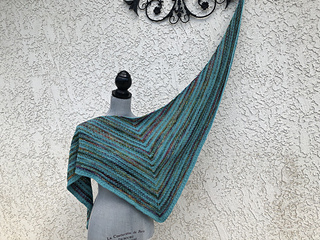 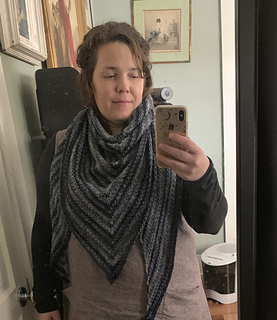 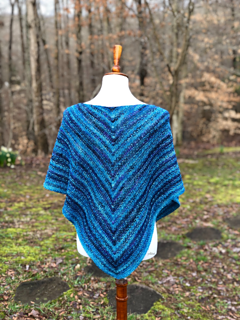 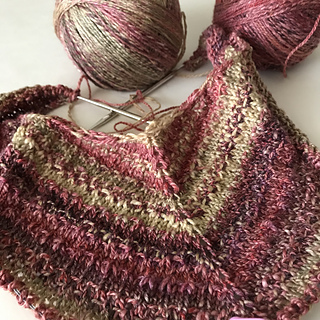 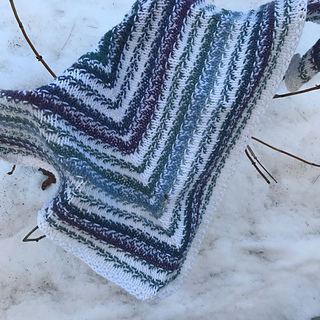 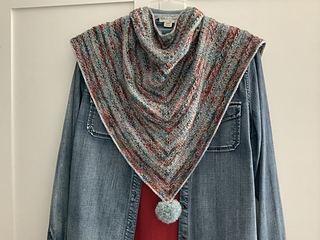 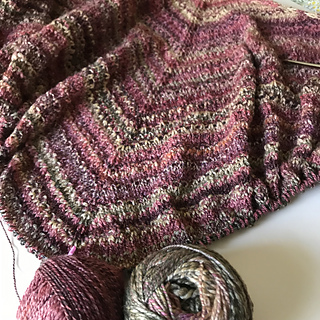 The shape is a long shallow triangle that gives lots of options for wear and can be made as big or small as your yarn allows. 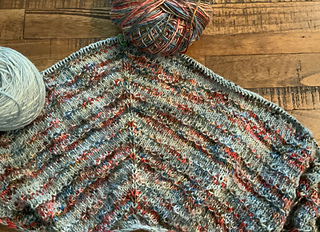 The pattern is written out, but I also included a chart to illustrate the construction and the stitch sequence for those who like to see how things work.